If you turned 50, then it doesn’t mean you have to give up on style and fashion. 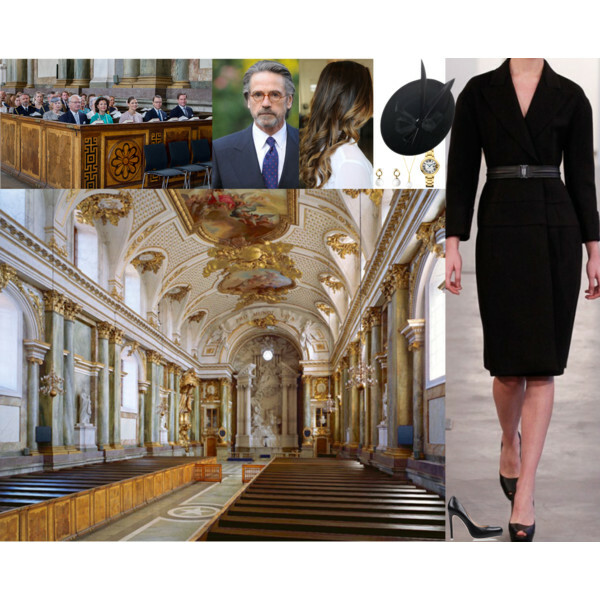 In today’s blog post I am going to share with you easy and creative Winter church outfit ideas for women who are over 50! 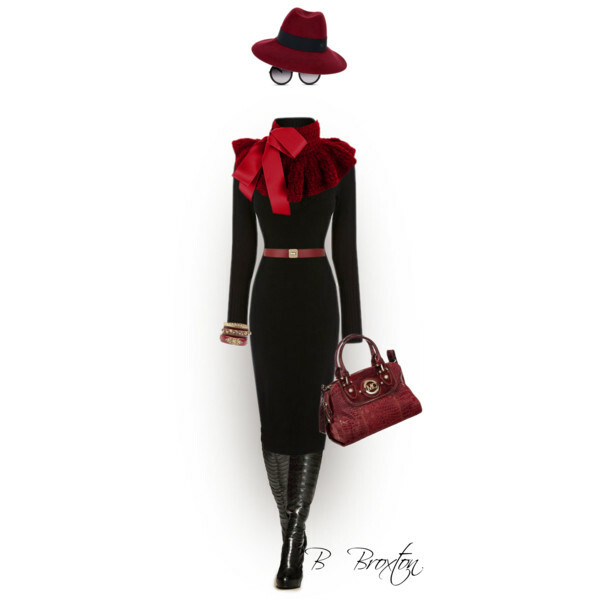 There are many fabulous looks available that are flattering for every shape, size, and age. The first thing that you should do is to get rid of your old, outdated and unflattering clothes in your closet. If you do have classic pieces, like fitted blue jeans, neutral color blouses, and sleek skirts, then you definitely can keep them! Once you have all your needed clothes in one place, then it’s time to create your Winter look for church! 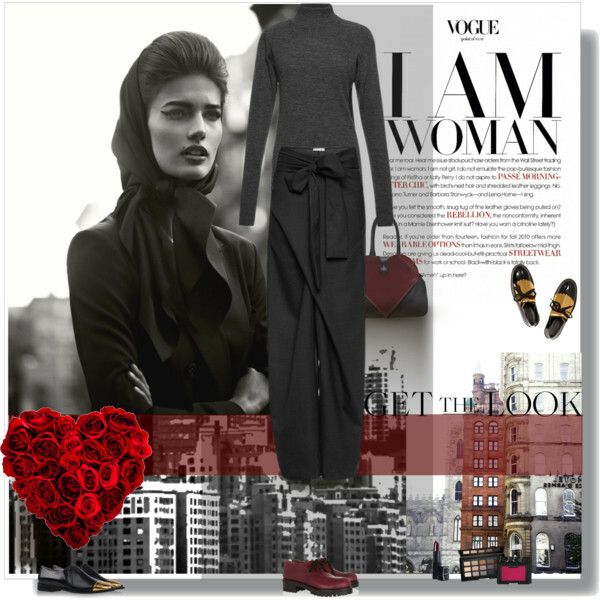 Below are gathered my favorite Polyvore sets you can copy this year. Belted long-sleeve gray sweater-dress in slim-fit is an appropriate choice. 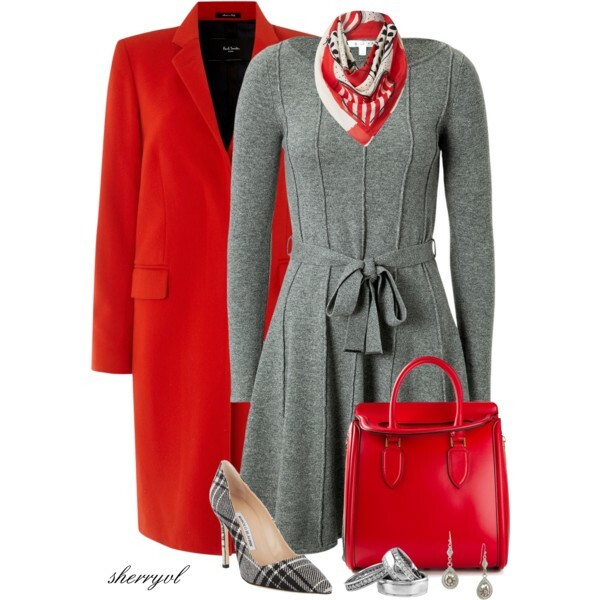 Try it on with a dark red tailored coat, red leather handbag, and plaid print pumps.